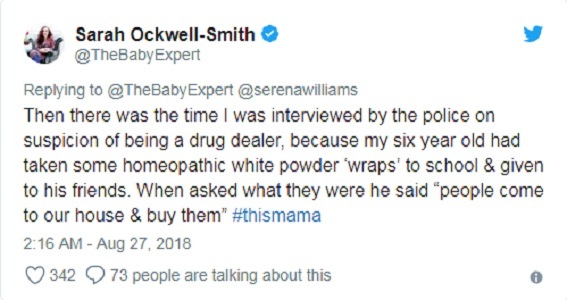 Tennis Player Serena Williams has very often in the past talked about her beauty and struggles of motherhood. 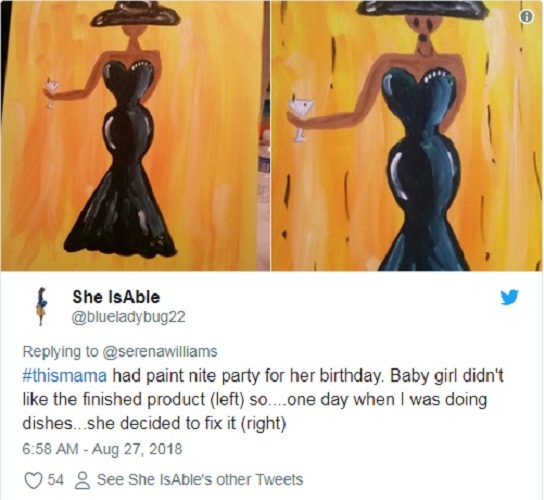 Now, she asks Twitter mums to share their own motherhood stories with the world. 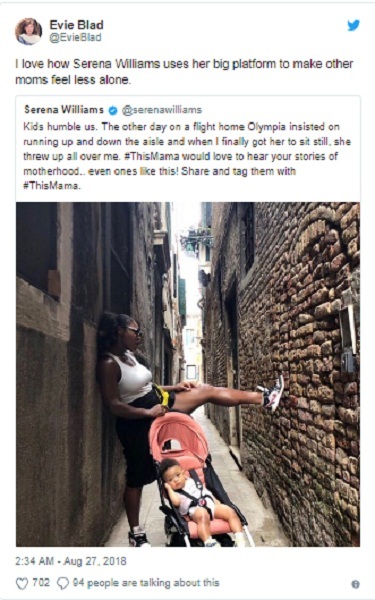 In a tweeter post, the Grand Slam winner for 23rd time detailed an incredible incident with Olympia, her daughter. 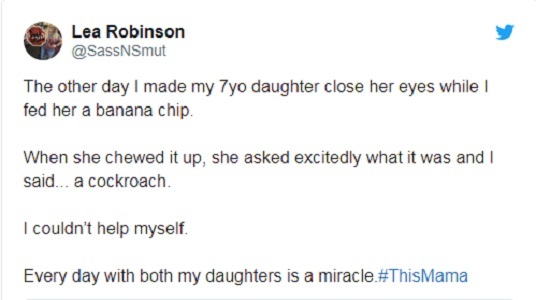 She also asked all her Twitter followers to share their motherhood stories. 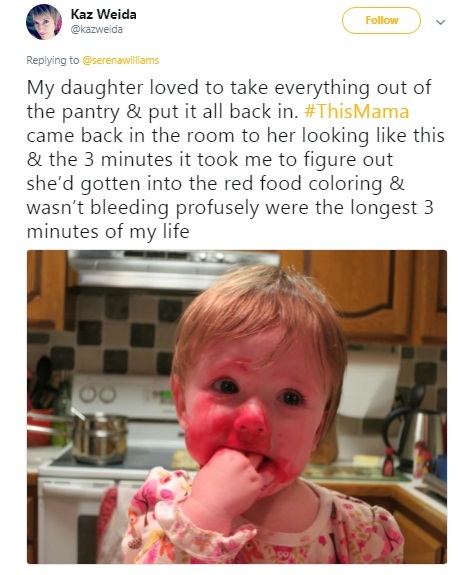 Williams twitter post has received over 21,000 times likes and collected almost thousands of replies. 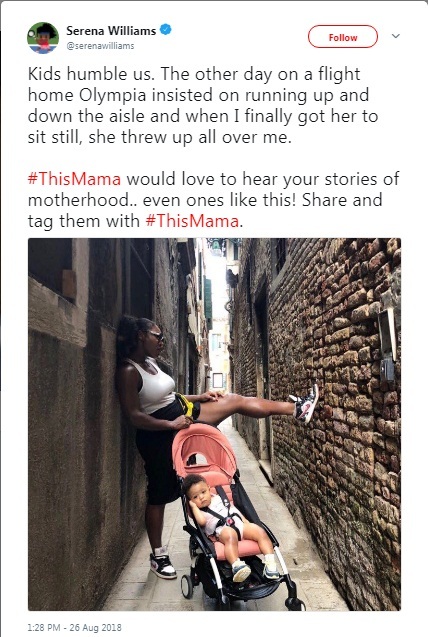 Many, after her asking to do, have shared their own motherhood stories, using the same hashtag “This Mama.” Some touching, some funny, the Twitter posts have now been curates in its own as ‘Twitter Moments’. 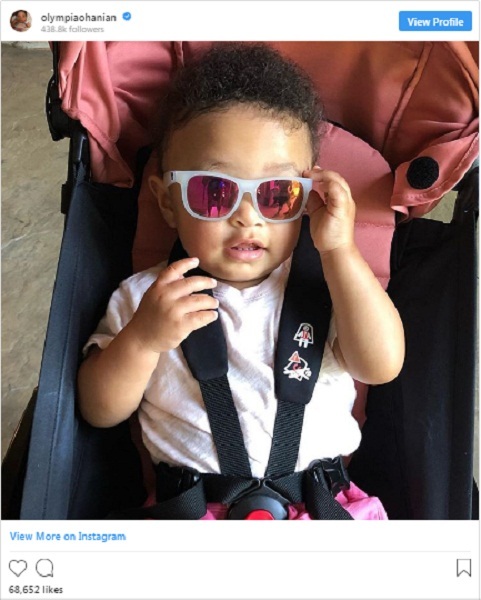 Serena and Alexis Ohanian’s daughter Olympia is just 11 months old. 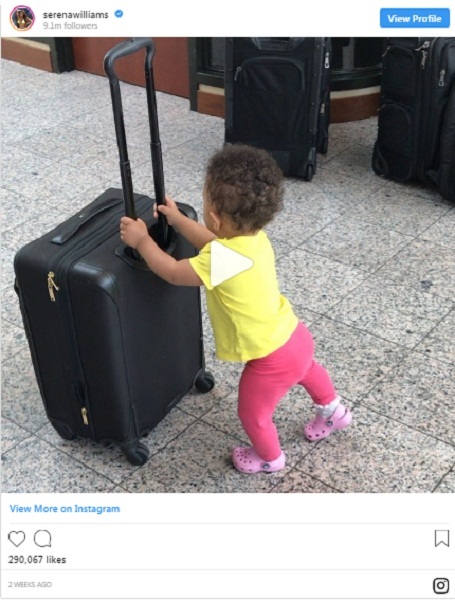 However, Olympia already became a social media star with almost 4lakhs followers on her personal Instagram account. 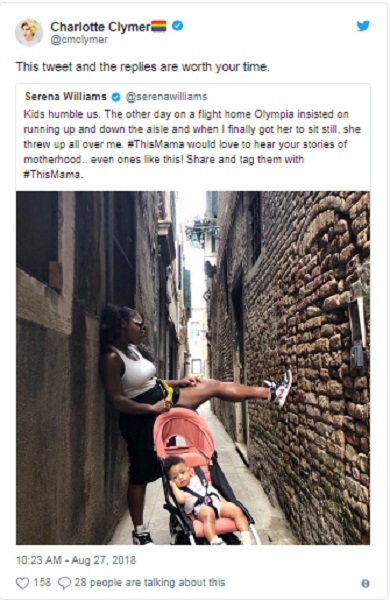 Serena Williams frequently posts lovely pictures and videos of Olympia, her daughter on social media. A few days before, 36-years old Tennis star disclosed in her Instagram posts that she deals with ‘postpartum emotions.’ However, she manages both her personal and professional duties well.